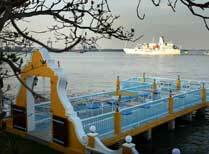 Also known as Kochi, Cochin is one of South India's most attractive towns with a rich history. It has been a trading port since at least Roman times when it was on the main trade route between Europe and China, and is still orientated around the bay whose neck is lined with the famous Chinese fishing nets. The town has had a Jewish community since at least the 6th century, and has been occupied by the Portuguese, Dutch and British before independence. The town is divided into three parts, the long promontory of Fort Cochin on the seaward side of the bay that contains many historic buildings, the modern city of Ernakulam on the opposite shore of the bay, and Willingdon Island in-between created in the 1920s by the dredging of the bay where many hotels are located. Fort Cochin is home to several historic sights, including the Portuguese built Mattancherrry Palace, Jewish Synagogues and StFrancis Church. The entrance to the bay at the tip of Fort Cochin is also lined with Cochin's landmark Chinese fishing nets. Cochin has several good heritage and modern hotels, and is a great place for beginning your exploration of the backwaters of Kerala. A sunset boat tour can take you around the sights of the waterfront and nearby villages, and this is the best place in Kerala to watch a Kathkali performance. 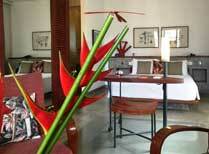 Brunton Boatyard has a great location in the heart of Cochin with the character of a heritage hotel. 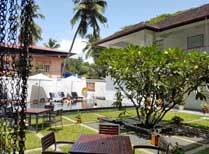 A small, family-run hotel by the Fort Cochin waterfront within walking distance of many attractions. A sensitively restored 16th century former governor's residence in historic Fort Kochi within walking distance of the coast. 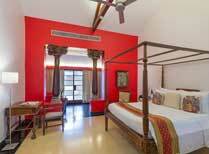 Stay in the heart of Fort Cochin's historic district, opposite St Francis Church, in the town's first boutique hotel. On the Kerala coast, Marari Beach Resort has been designed in a traditional Kerala style, with private thatch-roofed villas. 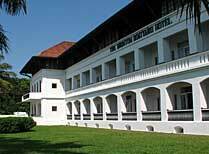 Explore Cochin from this delightfully rennovated colonial building, Cochin's very first hotel just a stone's throw from the Chinese fishing nets. 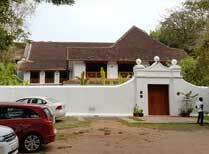 Tea Bungalow is an elegant colonial building offering spacious and stylish accommodation in the heart of Fort Kochi. 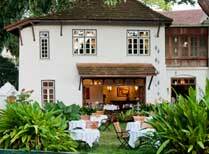 This boutique hotel in Cochin pays homage to the Dutch-Indo heritage of the area. Chic and contemporary accommodation a few minutes from the sister property Malabar House. 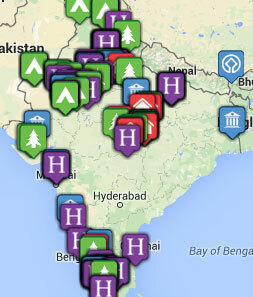 Explore the riches of Cochin while staying in a museum hotel, surrounded by artefacts steeped in history.